There is a 10% buyers premium in effect with a cap of $1,000 per item.ALL ITEMS MUST BE PICKED UP WITHIN 30 DAYS OR COULD BE SUBJECT TO STORAGE AND HANDLING FEES. AFTER 60 DAYS THE ITEMS WILL BE CONSIDERED ABANDONED AND BE RESOLD.By accepting the terms and conditions of this auction you acknowledge that you are entering into a legal and binding contract. Everything sells "AS IS" and "Where Is". Information obtained was furnished by sources deemed reliable; however, neither the owners not the auction company guarantees this information to be correct. All items are open to public inspection. It is the Bidder's responsibility to determine condition, age, genuineness, value, or any other factor. Fragodt Auction Company will not be responsible for any errors or omissions in the description of the item. All auctions are with reserve unless specifically stated otherwise and Fragodt Auction Compnay reserves the right to place a reserve bid on behalf of the seller. After an item is won on an auction, the buyer gives up all rights of inspecting that item before making payment. A 10% Buyers Premium with a maximum charge of $1,000.00 per items is in effect on this auction. Payment Options:Cash, Check, Credit Card, Wire Transfer*A 3% Surcharge will be added to all Credit Card Invoices and a $20 fee will apply to all wire transfers. **No items will be released until full payment has cleared our office. ***PAYMENT MUST BE RECEIVED BY THE FRIDAY AFTER AUCTION CLOSE!Internet Bidding:Fragodt Auction Company does not guarantee that bids placed online will always be transmitted to or received by the auctioneer on time. At the discretion of Fragodt Auction Co., any online auction may be suspended, postponed, or cancelled if internet service is unreliable and/or disrupts the ongoing live auction. Under no circumstances shall the bidder have any kind of claim against Fragodt Auction Company or anyone else if the internet service fails to work as intended before or during any auction.Fragodt Auction Company also has the right to refuse, add, delete, or change any bids placed online. As well as make any changes to our Terms and Conditions governing those auctions at any time.All items purchased on an online auction may be deemed abandoned after 30 days of the auction and may be subject to resale, and/or added storage and loading fees.Fragodt Auction Company and it's sellers are not responsible for stolen, lost, or damaged items (including loading, unloading, packaging, etc) and a refund or discount will not be offered.Fragodt Auction Company has the right to resolve any bidding issue how they see fit.Sales tax will apply on applicable sales. A tax Exempt link will be provided on your invoice. It will need to be filled out and returned to Fragodt Auction Company in order to remove the sales tax. All online auctions will have a staggered ending. 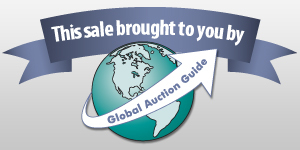 The auctions will usually close 1 item every 1 or 2 minutes, but that can change at any time. If an item receives a bid with in the last 2 or 3 minutes of that items being open, it will automatically be extended 2 or3 minutes and will continue to do so until no bids have been received in 2 or 3 minutes. Staggered ending time will be clearly visible for each auction.Shipping and shipping arrangements are the sole responsibility of the buyer. Announcement:Information contained herein is presented on behalf of the seller. Fragodt Auction & Real Estate, agent for the seller, cannot guarantee the information to be correct or assume the liabilities for errors and omissions. All lines drawn on maps are approximate. Buyers should verify the information to their own satisfaction. Any announcements made from the auction block on day of auction will take precedence over any matter of print and will be final. Tech manual for N-5, N-6, and N-7 Gleaner Combine. Industrias America 842R Header Trailer adjustable. Old style barrel cart, wood handles, 46" tall, 20"
9 decorative spindles, 1/2" x 1/2" square, 45.5"